The first modern radio I owned was a '520S. Finally have one in the shack after 40 years! Have technology from space aliens & NSA - yet I still can't filter the guy up the band! My 1977 dream rig - now joining the shack lineup. Details on the rig and mods, of course, here. FT-9000 Roofing Filters for the FT-2000 Sub Rx? 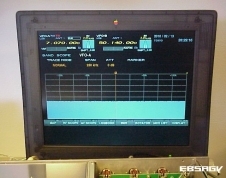 VNA plots of roofing filters found in the main RX of the FT-9000, and the sub RX of the FT-5000. What does this mean for the FT-2000? Now with DR3 measurements! Yaesu has made some changes to the front end protection circuits. See the details here. Plots of the DSP filter. As well as an investigation into the magic behind APF. And how about CONTOUR? It's all here! Just in time for 6m DX! Just part of what's behind door #1. Mixes WARC antennas, a tilt-up tower - and a basketball goal! 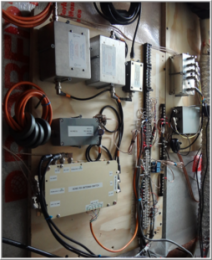 New country QTH brings a new shack and antennas. Follow the progress here. After damage from high winds, it is time to get some grown-up hardware outside. Pictures here. Expanded Shack and Towers/Antennas section. 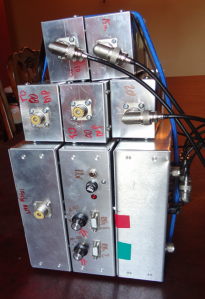 Lots of new web content detailing the tower builds and the antennas. Web hosting - by hams - for hams - at QTH.COM! Talk to Scott KA9FOX about a site of your own.